Need more proof? Let’s look at another scholarship for students with unique abilities. We’ve been serving students on the McKay Scholarship program for many years now as well. The data there looks just as good! In 2014-15, 95 percent of their courses were completed with a grade of A, B, or C.
Both groups have grades just as good as students without disabilities. 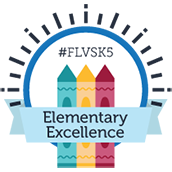 It seems clear that the success students with unique abilities and needs are having at FLVS has to do with competency-based learning – an education method to which FLVS subscribes. Students work their way through their courses at a pace that works for them, allowing them to master the content and move on when they are ready, giving each student the opportunity to learn all of the content with lessons tailored to their needs. 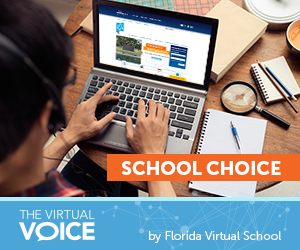 Please support SB 830/HB 7029, and SB 1088/HB 837 to remove eligibility and funding restrictions so more students can take advantage of virtual opportunities. 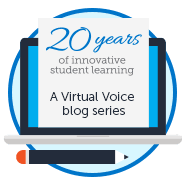 This entry was posted in Educator Edition, Parent Edition and tagged Education Legislation, Online Learning, School Choice on February 3, 2016 by Holly Sagues.